Every day on our way of life we ​​meet a whole bunch of little things that can revive our everyday life, bring a little joy and smiles. Only agree that not so often we know these little things to notice and really appreciate them. And in fact very in vain! It is these little things that create the full picture of our life, they are one of the main complementary to our everyday life. These little things are called accessories. In this article, the BuketLand flower delivery will tell you, perhaps, about the most beautiful accessories - floral. 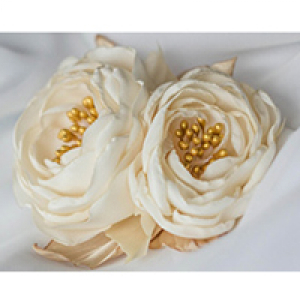 Floristic accessories help to bring in our everyday life a certain celebration and beauty. Even in the most gloomy autumn day or a frosty winter evening, such a trifle as a small floral hairclip will be able to present pleasant memories of summer, make your eyes brighter, and a sincere smile. You just remember how much joy brought us in childhood the simplest wreath of dandelions! It would seem that there was nothing supernatural, and laughter was heard all over the yard. What are flower accessories for? 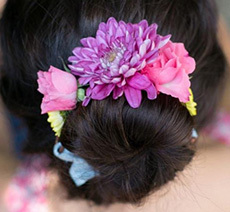 Accessories from real flowers are able to emphasize your own style, reflect your mood and character. They are the same indispensable in our life, as everything else is beautiful and familiar, but, unfortunately, we spend the least of the time on accessories from flowers. However, recently florists and designers are actively working to bring more colors to our life. It is these insignificant accessories that can complement your outfit or selected bouquet so that it displays your state and emotions at the right time. The most elementary example of successful accessories for flowers are packages and tapes. Such trifles can advantageously emphasize the beauty of a bouquet, or on the contrary, eclipse it. As for the accessories themselves from flowers, in fact there are a lot of them, but, unfortunately, they are all short-lived and very fragile. Therefore, designers and designers, florists, employees of beauty salons and even artists actively use dried flowers in their activity. Of them, jewelry is made of unreal beauty and all of them are highly appreciated, because in addition to handwork, made of natural materials. 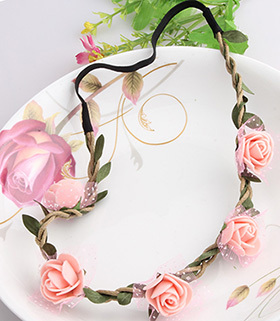 Accessories for flowers include hair decorations (wreaths, hair clips, bezels), costume jewelery (rings with dried flowers in amber, beads, earrings), charms from dried flowers and much more. Of the flowers themselves, by the way, weave beautiful baskets, which differ in density and special beauty. Of course, it's impossible to go to the market with such a basket, but as an excellent original display case or booth decoration it will fit perfectly. Bright examples of accessories from flowers are jewelry for bridesmaids in the form of bracelets. Small bouquets on the tables also belong to this category. In the interior often use dry twigs, decorated with all kinds of rhinestones or beads, compositions of dried flowers or dried wildflowers. Tinted spikelets of wheat are widely used in the work of florists. In themselves they are excellent flower accessories, and in addition to a bouquet of wildflowers will look more profitable and beautiful. Remember that any manifestation of the creative approach in the design of flowers, you can call an accessory, if it is intended to complement the overall picture of something. Such small flower accessories are pleasant little things that can paint our life with vibrant emotions and smiles. The main rule of floral accessories is that they must complement a great thing and make it special. In this case, we can safely say that the accessory is selected with taste and correct.